Release 2.4 is just around the corner with RC1 being pulled together right now. 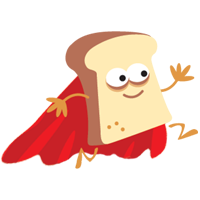 A late-breaking addition is the inclusion of the new "Toasty" style which, unsurprisingly, allows you to forward notifications directly from Snarl to your Windows Phone 7 device. A huge thank you to Patrick for loaning me his WP7 device ID that allowed me to develop and test this!